KUALA LUMPUR – Malaysian billionaire Syed Mokhtar Al-Bulkhary's DRB-Hicom said it's open to selling unprofitable sports car maker Lotus Group after taking over its parent, Proton Holdings. DRB-Hicom is "open to options," managing director Mohd Khamil Jamil said. "We can't do due diligence on Lotus earlier so will need time to look into Lotus," he told reporters on Wednesday in Selangor, outside of Kuala Lumpur. Khazanah Nasional, the Malaysian government's investment arm, this week agreed to sell its controlling 42.7 percent stake in Proton to DRB-Hicom for 1.29 billion ringgit ($414 million, 323 million euros). DRB also bought an additional 7.7 percent stake in the open market, according to an exchange filing on Tuesday, taking its total holding beyond 50 percent. 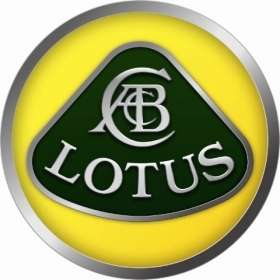 Proton, which makes sedans and taxis, hasn't made any profit from Lotus since acquiring the sports car maker in 1996. The British manufacturer and engineering consultant revealed a bold plan to become a rival to Porsche at the 2010 Paris auto show, where it unveiled five new sports car concepts, and promised production for all five. "We need to sit down with Lotus management and look at their plans before arriving at a definitive decision," Mohd Khamil said. "It has been there for years and has done some good things." Lotus's sale has been the subject of speculation. Shanghai Automotive Industry Corp. last month denied an Edge newspaper report that said China's largest carmaker is interested in Lotus. Three months ago, Proton denied a report by the Star newspaper that it was selling its Lotus stake to Luxembourg-based Genii Capital. Lotus wouldn't comment to Automotive News Europe on Wednesday on the possibility of its sale, but repeated a statement issued on Monday following news of Proton's sale to DRB-Hicom. "As far as we are aware, the situation changes nothing for Lotus. Proton's support in our development remains very strong and our focus is on the delivery of the business plan," the statement said. DRB-Hicom rose as much as 3.3 percent to 2.17 ringgit in Kuala Lumpur trading today. Proton rose 0.4 percent to 5.43 ringgit, shy of DRB's 5.50 ringgit-a-share takeover offer. DRB-Hicom plans to delist Proton and make it a subsidiary after completing a general offer, Mohd Khamil said. DRB doesn't plan to sell any stake in Proton to partners, though the company is open to collaboration with global car manufacturers such as General Motors and Volkswagen, Khamil said. DRB is holding talks with GM, Proton chairman Mohd Nadzmi Mohd Salleh said on Jan. 6, while DRB already assembles vehicles for VW. Malayan Banking will arrange loans to finance the Proton purchase, Mohd Khamil said. DRB-Hicom's financial position is "very healthy," he said.